There are currently 115,143 users on this website. 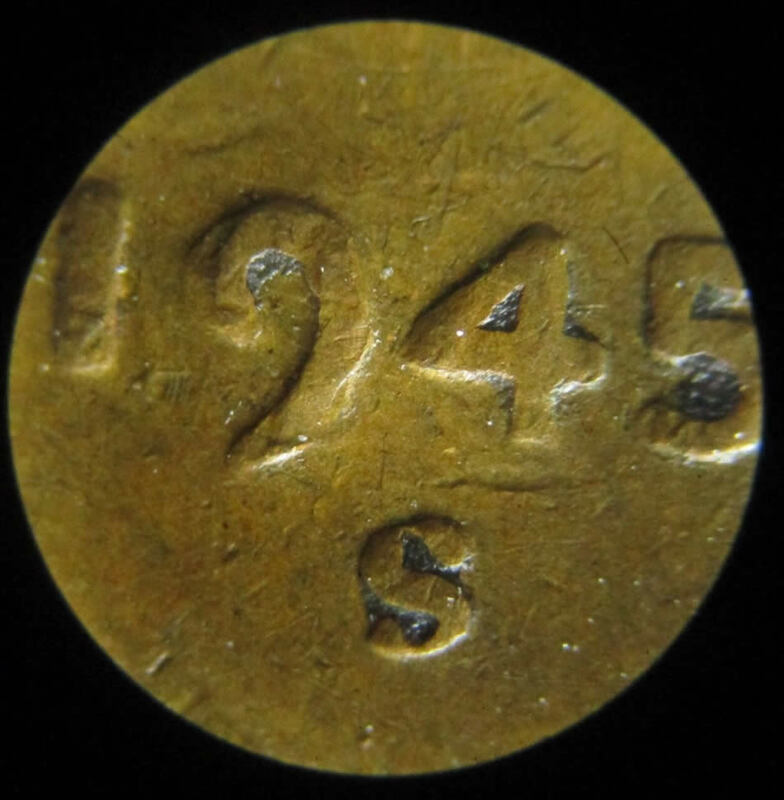 1945 S Wheat Cent, Flipped Mint Mark? This S only looks like other S mint marks when upside down, I'm having a hard time determining if it is actually upside down and I was wondering if you guys would take a look at it, thank you. That link helped a lot! Thank you very much, I also agree now. You're welcome. Keep up with the good finds! Looks normal to me, for the year of 1945. John1, I'll say it is not normal because the ball serrif appears to be at the bottom of the S, and when inverted, the S looks normal. I may be incorrect though. I would like to know coops thoughts. I hope this picture helps with the comparison. The top right picture is how it appears on my coin compared to an inverted mint mark coin, and the bottom right is my coin flipped upside down compared to a normal mint mark. It looks like the S on my coin took a hit on the top serrif in regular veiw. 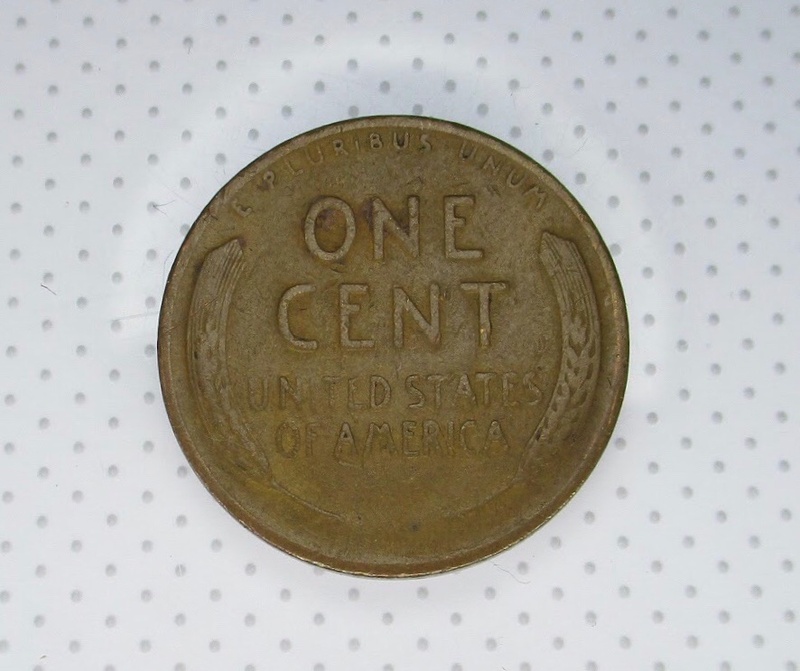 I have found quite a few 45 S cents with mint mark looking just like yours. As bad as I hate to be the bearer of some unpleasant news, yours is a normal cent. 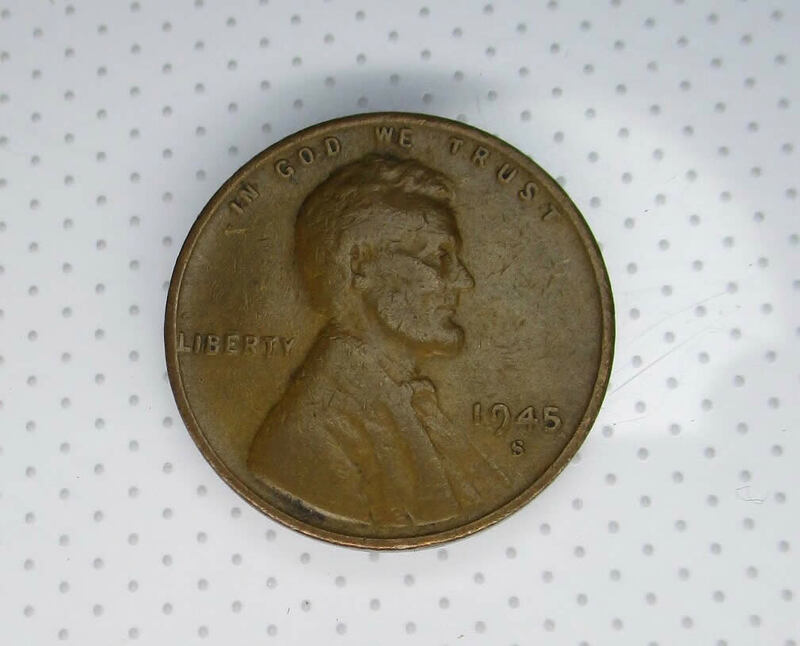 I emailed pics of one to a very knowledgeable person that looks just like yours and he said that it is a normal cent. From what I see in person and the pictures, it appears to me as being a flipped mint mark. If you look at the structure of the S, it looks flipped. Haha we have 2 people who agree and 2 who disagree so I'm not sure what to think about it. I have found several just like yours and they were all normal. 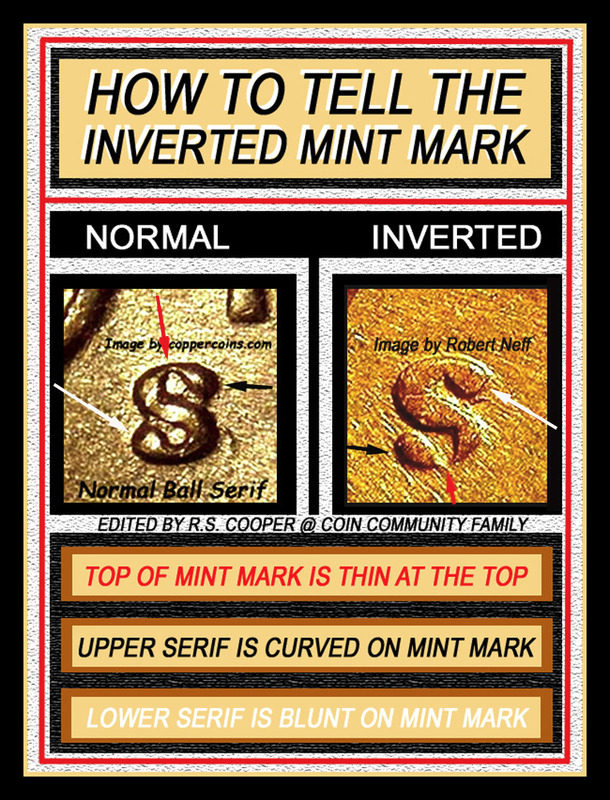 If you truly think you have an inverted mint mark the my advice would be to send it in to John Wexler or Dr. James Wiles. They are the authorities on coins. They pretty much have the last say. The deepest/weakest part of the design on the normal one is on the top. 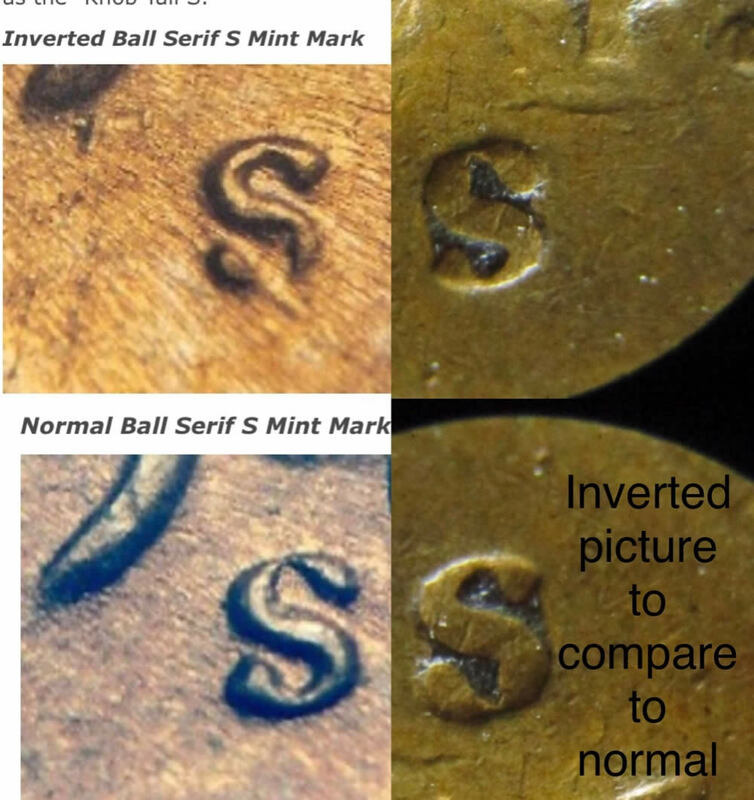 The OP's example is a normal ball serif mint mark. Thanks guys, this one was hard to tell because the hit changed the look of the mint mark. Coop, your picture helped explain a lot thank you, I can see how it is a normal mint mark clearly now.